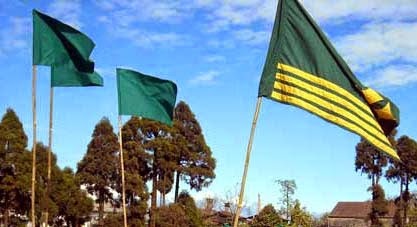 Talking to reporters, GNLF Kurseong branch unit spokesperson Daya Dewan said his party has condemned such a claim. He said that his party will never recognize Mr Gurung’s “personal” statement. “We don’t know what they talked with the home minister in Delhi. Earlier too, Bimal Gurung had made several announcements and statements on Gorkhaland. If the home minister has indeed taken such a decision, the central government must make an official and written announcement on the matter,” Mr Dewan said. “The fact is that the GJMM made such a claim after union ministers Rajnath Singh and Rajiv Pratap Rudi told the Hill party delegation that a Bill on Gorkhaland will not be tabled during the winter session of Parliament,” he added. He, however, said that the GNLF leadership will support any such announcement made officially by the central government.